플레이모빌은 7.5 cm(2.9 인치)의 작은 크기지만 중세기사부터 건설노동자까지 다양한 인물과 공간을 연출할 수 있는 피규어이자 조립식 장난감입니다. 흔히 레고와 비교하지만, 1974년 독일 다지이너 한스 벡(Hans Beck)이 개발한 이래 3,995가지의 무궁무진한 모양으로 출시된 플레이모빌은 지금까지 전세계의 어린이들에게 무려 27억개나 판매되었답니다! 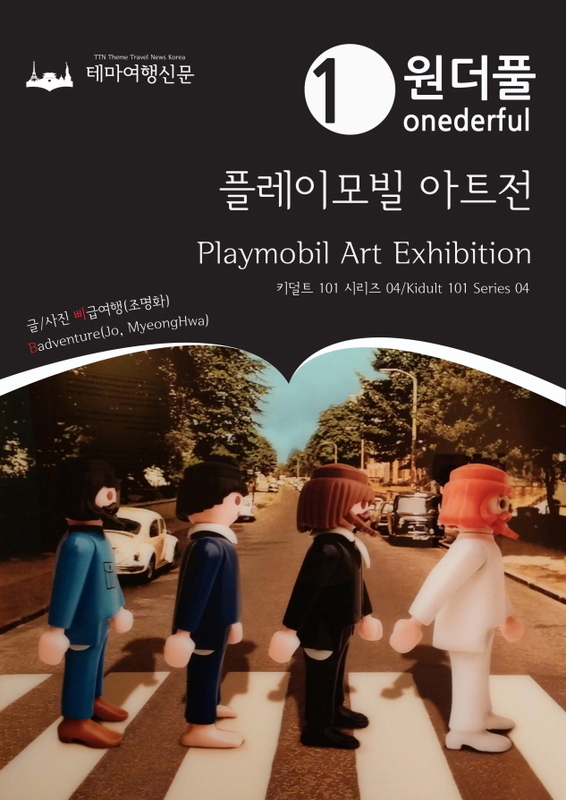 플레이모빌 아트전(Playmobil Art Exhibition)은 세계의 아티스트 20명과 플레이모빌이 콜라보레이션한 다양한 예술품을 선보이는 특별전입니다. 한국 성남아트센터에서 2015년 7월 25일부터 10월 11일까지 진행되었습니다. 특히 레오나르도 다빈치, 살바도르 달리, 앤디 워홀, 미켈란젤로 등을 패러디한 ‘플레이모빌과 함게하는 미술여행관’은 큰 인기를 모았습니다. 아직 전시를 들러보지 못하셨다면, 지금 원더풀(Onederful)하세요! Playmobil is one of the famous toy brand in the world. It's small toys which is 2.9 inches only, but it could shows 3,995 kinds of figures from medieval knights to construction workers. It was often compared to Lego, but since 1974 Playmobil were developed by German designer Hans Beck, it has been sold more than 2.7 billion all over the world. Playmobil Art Exhibition is the collaborations by the artists and travellers in Korea and the world. 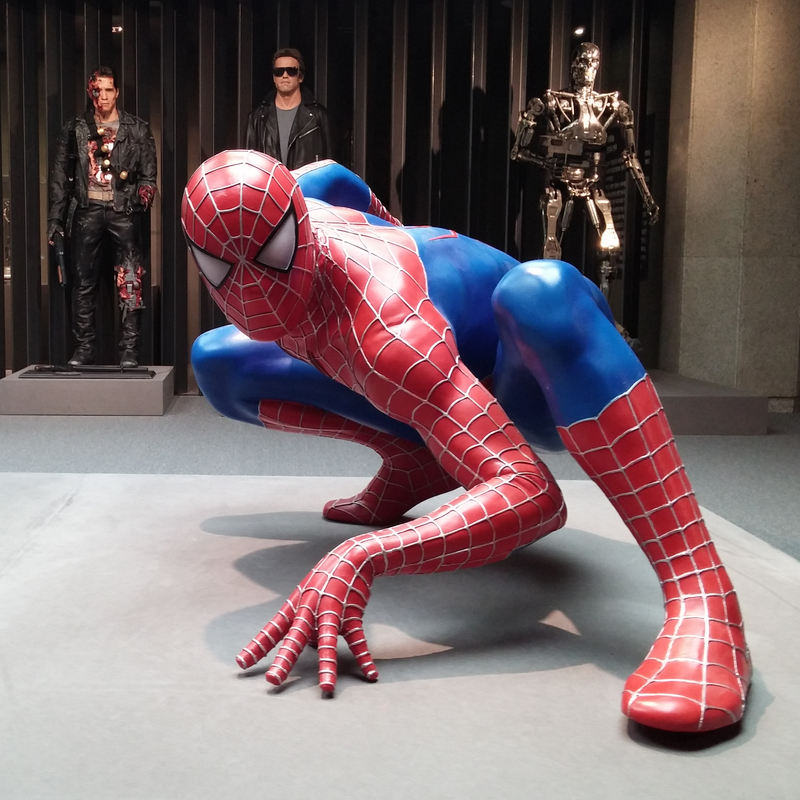 It was held at Seongnam Arts Center in Korea from 25th July 25 to 11th October 2015. Especially, Playmobil Parody Zone(Leonardo da Vinci, Salvador Dali, Andy Warhol, Michelangelo's' Great Art and more!) was the most HOT. If you could'nt visit yet, Onederful tonight! 어른을, 어른의, 어른을 위한 원더풀 키덜트 101 시리즈(Onederful Kidult 101 Series) : 레고(LEGO)와 플레이모빌(Playmoblil) 뿐 아니라 나노블럭(Nanoblock), 건프라(Gundam Plamodel). 페이퍼토이(Paper Toy)가 낮설지 않다면 당신은 이미 키덜트(Kidult)! 내가 원하는데로 조종하는 RC카(RC car)와 드론(drone), 보기만 해도 지름신이 강림하는 헐리우드 블록버스터(Hollywood Blockbuster)와 일본 애니메이션(Japan Animation)을 재현한 피규어(Figure), 예술이 된 장난감 아트토이(Art Toy)까지... 골치 아픈 사무실을 벗어나, 유치한 장난감에 탐닉하는 ‘어린왕자’ 키덜트족(Kidult族)은 오타쿠(Otaku, 御宅) 혹은 B급문화(Underground Culture, POP Culture)란 편견을 극복하고, 동심과 자금력을 동시에 지닌 얼리어답터(Early Adoptor)이자 트렌드세터(Trendsetter)로 급부상하고 있습니다. 원더풀 키덜트 101 시리즈와 함께 레고랜드(Legoland)와 토이저러스몰(Toys R Us)에서도 만날 수 없는 환상세계로 떠나보시기 바랍니다! 내일 떠날 수 없다면, 오늘 원더풀(Onederful)하세요! 101 of photos, 101 of Wonderful! Onederful Kidult 101 Series is Photo Guidebook by the Adult, of the Adult, for the Adult! If you can't leave tomorrow, Onederful tonight! 테마여행신문 TTN Theme Travel News Korea는 여행작가와 여행기자가 함께 만드는 여행 전문 온라인미디어이자, 여행 전문 전자출판사입니다. 지구상 단 하나 뿐인 여행콘텐츠로 여행자의 발걸음을 돕습니다. 당신과 여행 사이. Theme Travel News TTN Korea is the Global travel contents platforms. Between You and the World.